or with a Sky or FreeSat satellite dish. televisions is definitely not as straightforward as hanging them! At Central UK, we’re proud to help the homes and offices of Stirling, Falkirk and Clackmannanshire receive crystal clear television pictures either through a FreeView digital aerial or with a Sky or FreeSat satellite dish. We help both business and home users across Central Scotland get the most from their IT systems. We offer advice on what you need and where to get it. We install new IT systems. We repair and rebuild existing systems. We work closely with the police to ensure our solutions are in line with their expectations and we can provide both traditional and technology led solutions through intruder alarms, CCTV, door entry systems, access control systems, security lighting and more. There are many different satellite broadcasters in the UK, but undoubtedly the biggest are Sky and Freesat. 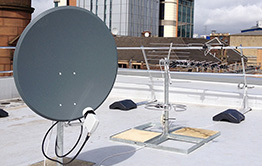 At Central UK, we have years of experience in installing, repairing and trouble-shooting problems with SKY and Freesat. Our maintenance contracts give a cost effective, monthly payment solution for your IT requirements. You’ll enjoy regular checks on your servers, workstations, networks and printers to ensure they are running smoothly and efficiently. 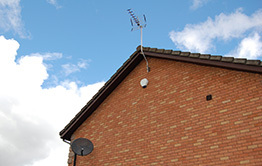 Whether you’ve moved into a new home that doesn’t have an aerial or need an existing system repaired or replaced, at Central UK our aerial installers will have you watching crystal clear television pictures in no time at all. 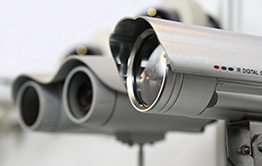 Our team of highly skilled security system installers will first assess your premises to ensure that our CCTV solutions provide coverage exactly where you need it, providing blanket coverage of your premises both inside and outside. At Central UK, we help both business and home users across Falkirk, Stirling, Alloa and Central Scotland with their IT requirements and security systems, along with the installation of satellite dishes and aerials. Whichever one of the Central UK services you require, contact us now to talk through your requirements on 01324 430027 or 01786 542017 for a FREE, no obligation quote.